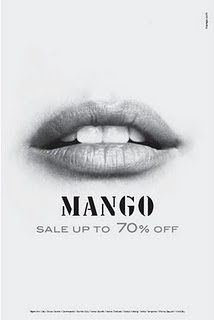 Mango is a multinational dedicated to the design, manufacture and the marketing of clothing and accessories for women, and now also for men. Its current President is Isak Andic.The Spanish company, with its commercial headquarters in Barcelona, experienced growth of 8 % over the previous year, and closed 2005 with a turnover 1.144 million euros, of which 75 % corresponds to Sales abroad.Currently has more than 1,200 stores in 92 countries, [ 1 ] across five continents. Its expansion continues with the entry in countries such as USA, Mexico, China, Italy, Australia and even Cuba. The latest openings worldwide have taken place in cities such as London (at) Regent Street and Oxford St.), Algiers (in Sidi Yahia), Vienna (at) (Kärtnerstr. ), Paris Rue Rennes (Rue de Rivoli) or the Angeles .The plant occupies an area of 150,000 m2 and headquarters houses one own structure comprises the areas of design, production control and distribution points of sale, architecture and interior design shops, image and advertising, as well as management and logistics.Mango has more than 5,800 employees, 1,500 of whom work in the Palau-Solità headquarters i Plegamans (Barcelona). 82 % Of its workforce are women.To develop a truly comprehensive deployment cedes collections for warehousing to franchisees. The objective is to ensure that all points of sale throughout the world, available in each moment of the genus requiring depending on the speed of rotation and the forecast of sales. Ensures a constant renewal of the goods and production at the pace that makes the demand of the market, both volume and variety. Posted by majocoello at 5:33 a.m.
macris December 17, 2009 at 5:41 a.m.
what a nice article! !I love it ! !bf4e!majo its beautiful!